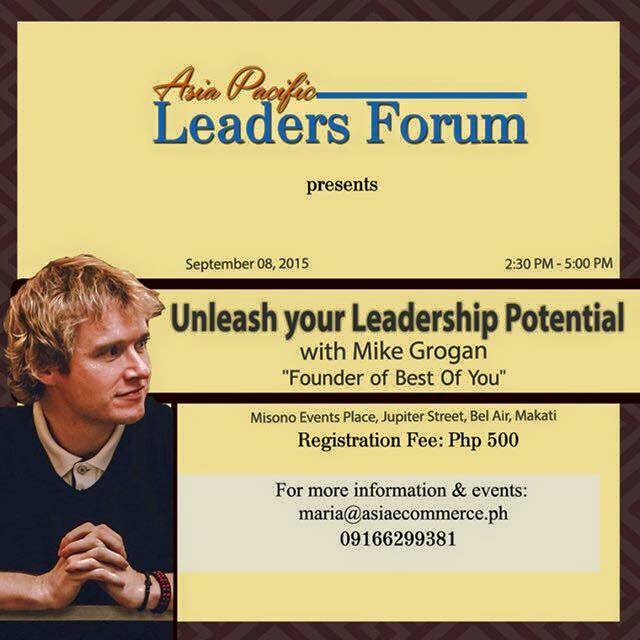 Mike Grogan is a Non-Traditional Speaker, Coach and Trainer who helps Individuals and Managers to go further, faster. He has worked with 100's of organizations around the world from Billion Dollar Brands in Corporate America, Hospitals in Africa, to Humanitarian Organizations in Palestine. He lives and works today in the Philippines where he is fast becoming the leading authority in non-traditional Management & Leadership development in the country. Mike is convinced that too many individuals and organizations are wasting their money and time on ineffective traditional training programs. TAG Media and Public Relations is the organizer of Asia Leaders Forum Series and Asia Leaders Talk Series and advocating information to reach a broader audience to understand more about important issues that could help not just companies but individuals to pursue excellence. Asia Leaders Forum and Asia Leaders Talk are pocket conferences with different topics per event and with influential local and international leaders as speakers. For more details about the event and registration; please call 09166299381 or send an email to maria@asiaecommerce.ph.